"Water is a readily available natural medicine for some prevalent and very serious medical conditions that are known to kill many thousands of people every year. For instance, is it heart disease or dehydration that is killing people? In my professional and scientific view, dehydration is the biggest killer, more than any other condition you could imagine." 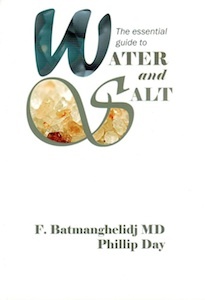 "The public is being seriously misled over the necessity for water and proper salt in the diet. We have a medical system that does not train its doctors in even the basics of nutrition and hydration, so why are we surprised that they have failed with 'disease'? The information in this book should be trumpeted from the rooftops if we truly profess to care for our loved ones and wish them to avoid a painful, premature and needless death."